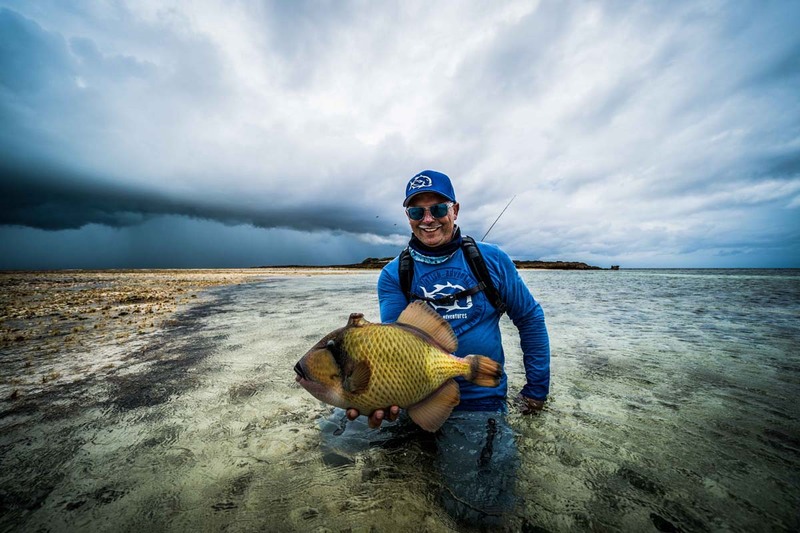 For the first time since the start of the season the tidal movements moved into the spring phase with water pushing through the channels like a river flowing to the sea. 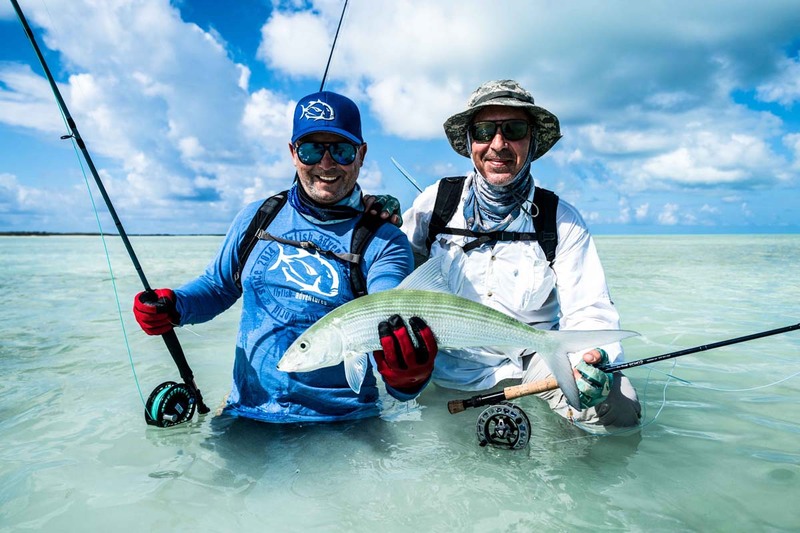 Our new arrivals knew exactly what they were in for with numerous returning guests who had done this trip on a few occasions before. 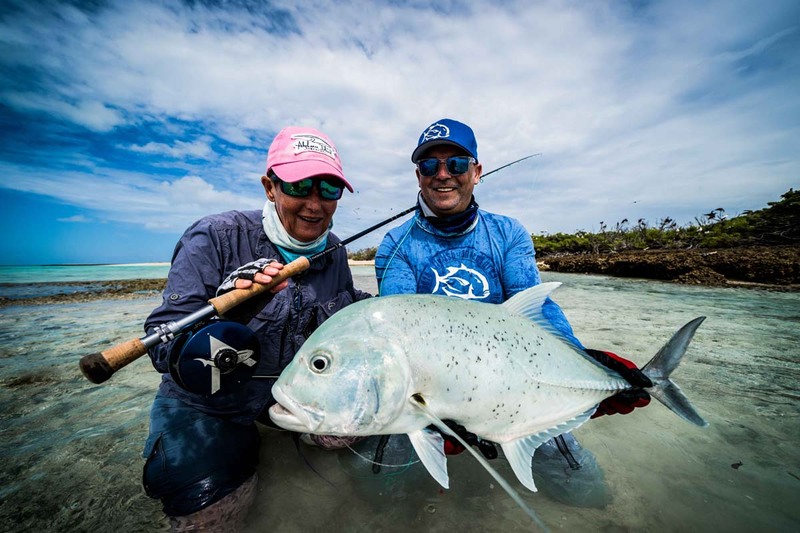 Chantal C has fished the Seychelles more than any other lady fly angler and this week was to be a special one. 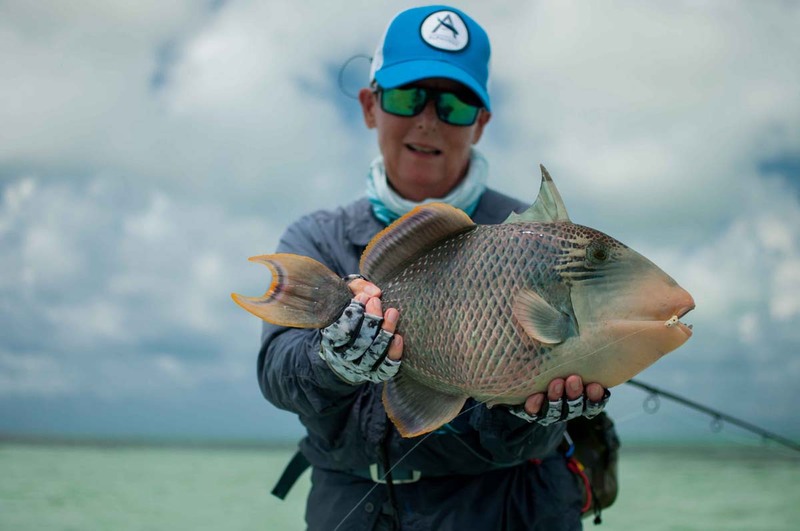 She celebrated her 70th birthday in style by kicking off the week with a “Flats Slam” consisting of a GT, Bonefish, and whopper of a Yellowmargin Triggerfish. 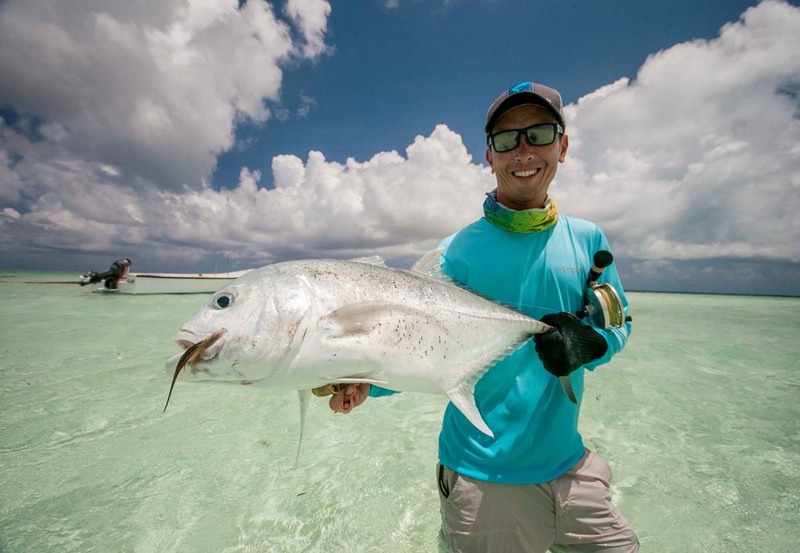 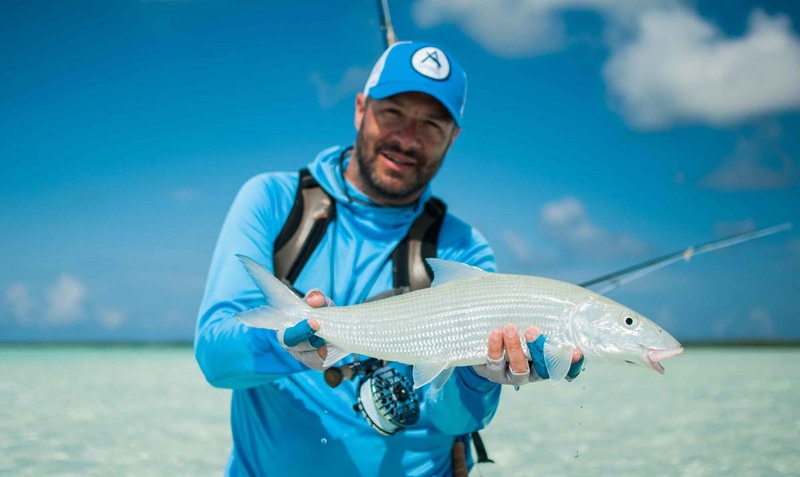 David R made the most of his return to the flats of Cosmo by stacking up an impressive 38 GT’s, which included a “Flats Slam” on the final day comprising of a Triggerfish, Bonefish and 90cm GT. 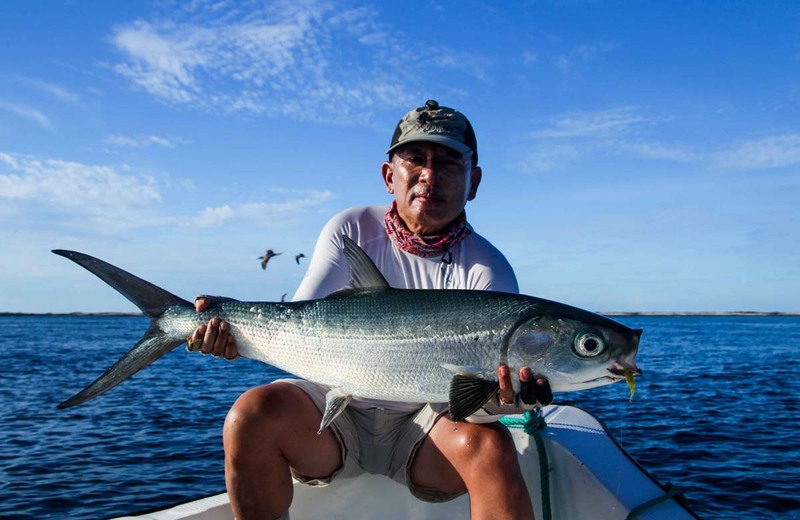 The turn of the season saw the breezy conditions subside just long enough to allow for the Milkfish to feed on the surface. 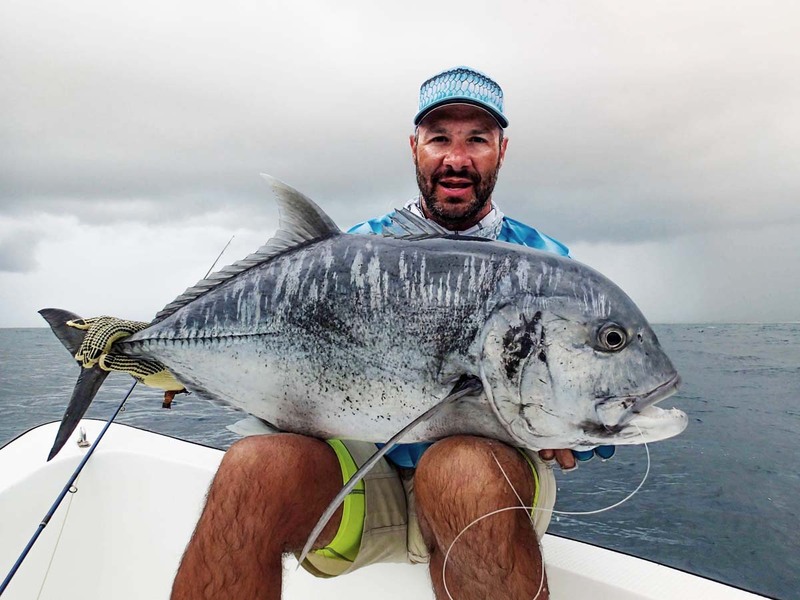 This presented an opportunity for Chaun W to open up this seasons Milkfish count with a solid fish after an impressive fight. 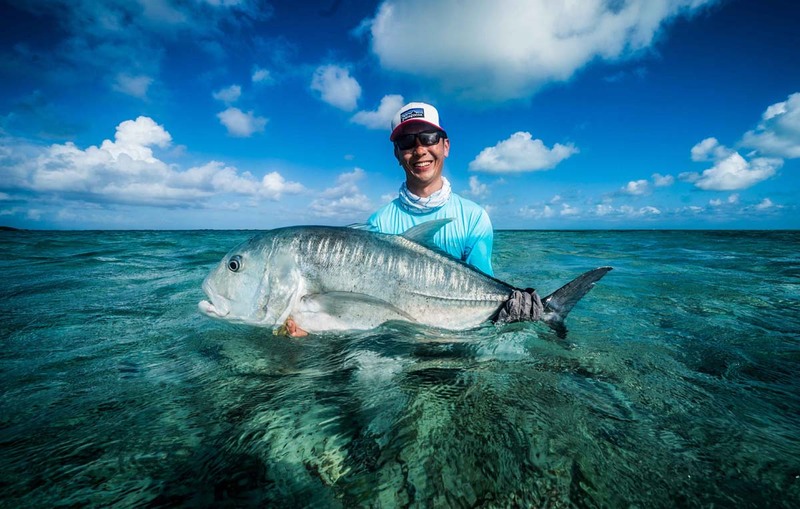 The fish of the trip belonged to Kelvin Ng. 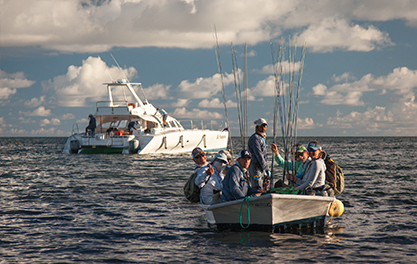 who left it until the final minutes and the last fish of the trip. 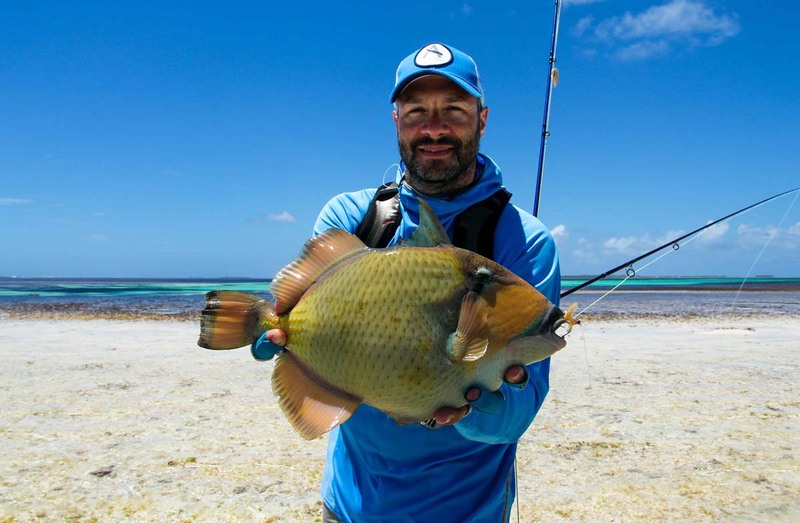 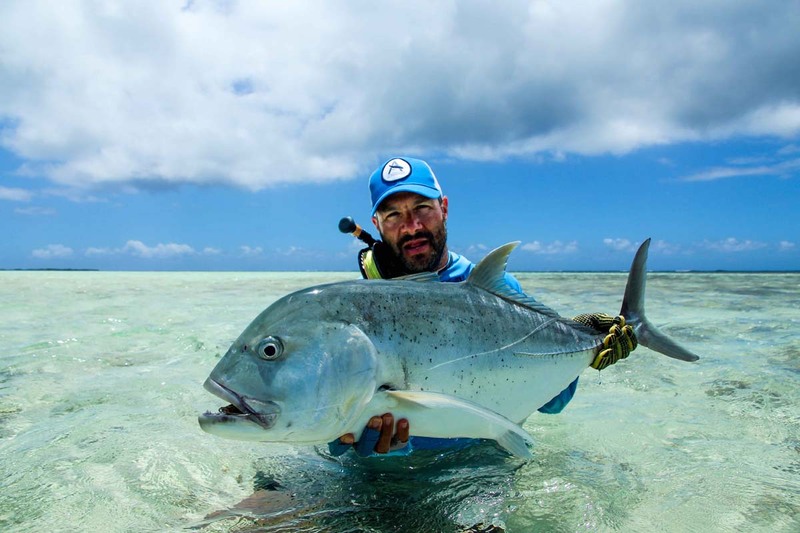 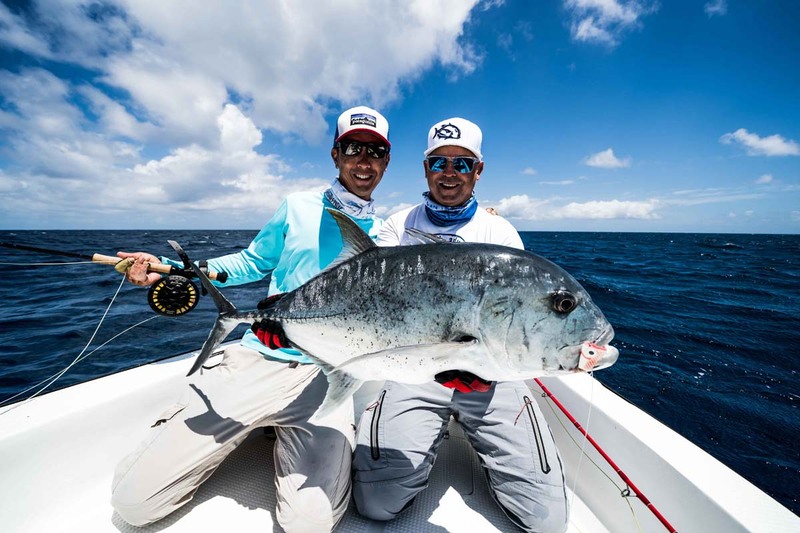 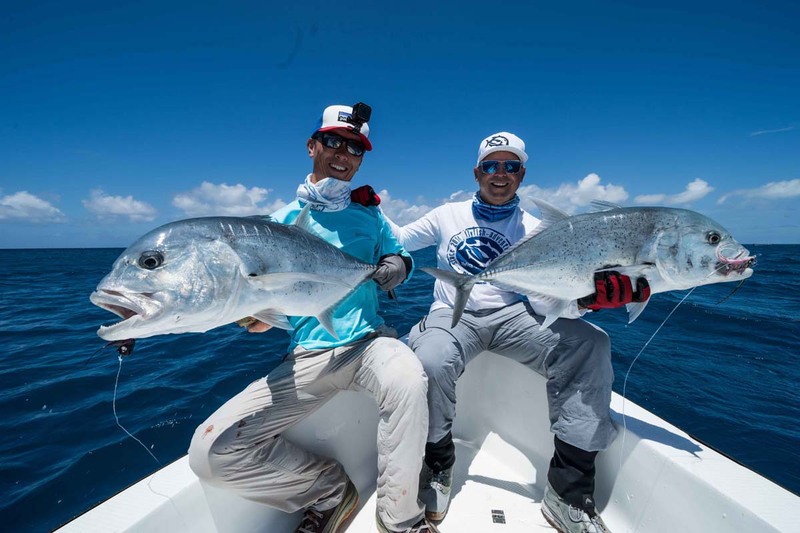 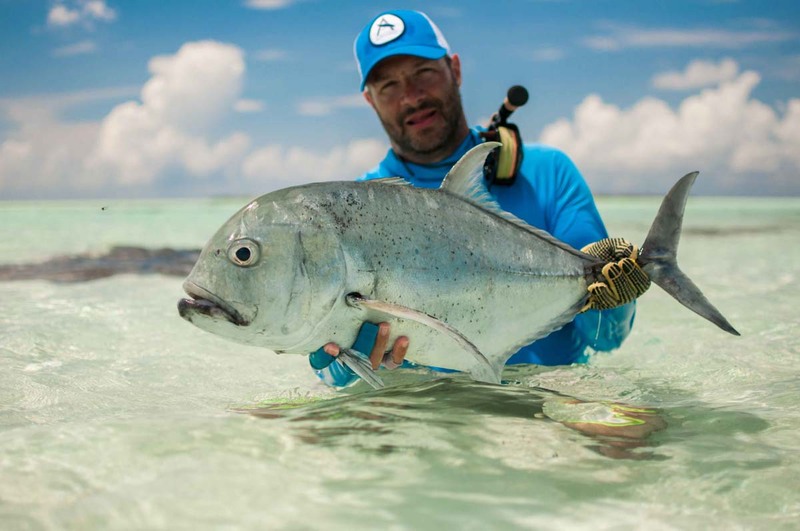 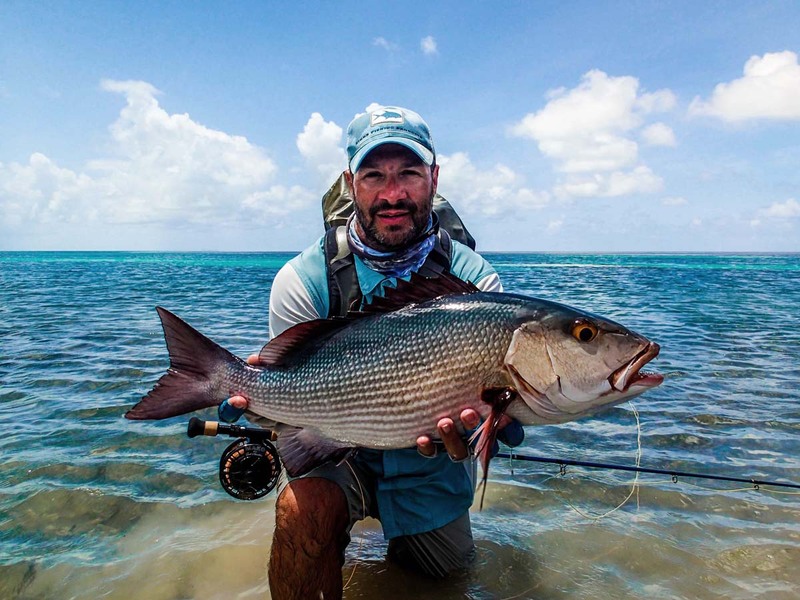 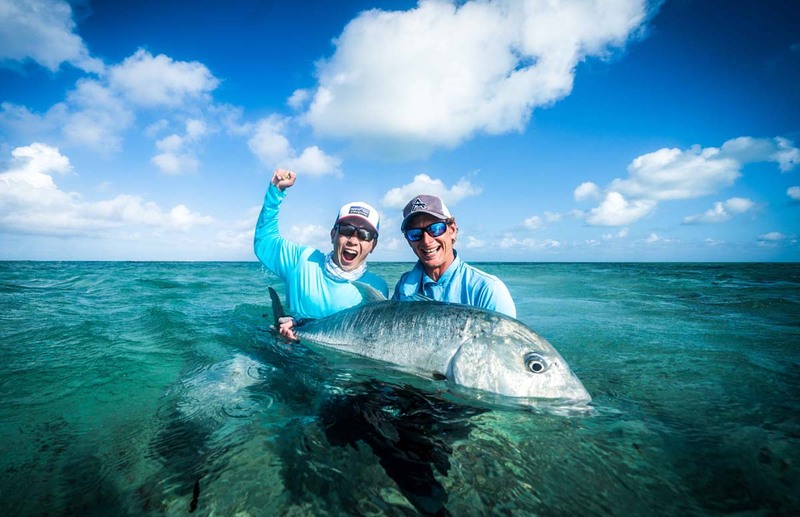 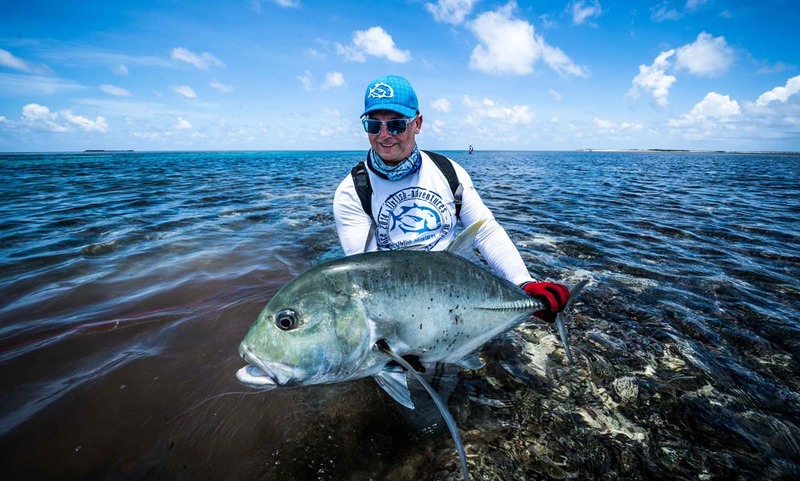 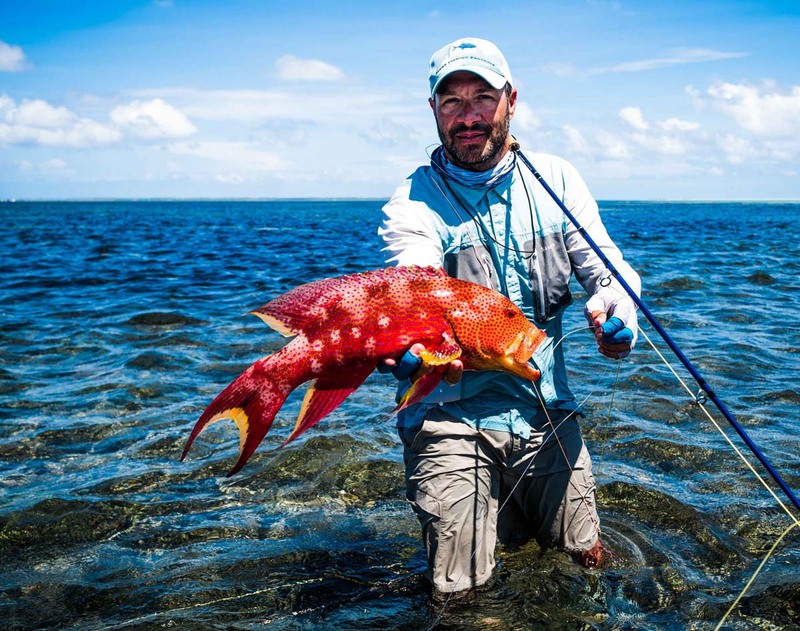 A mammoth battle from the vulcanized edge of an island and a 96cm GT with a 10 weight fly rod marked the 127th GT landed by the group of eight anglers for the six days fishing Cosmoledo. 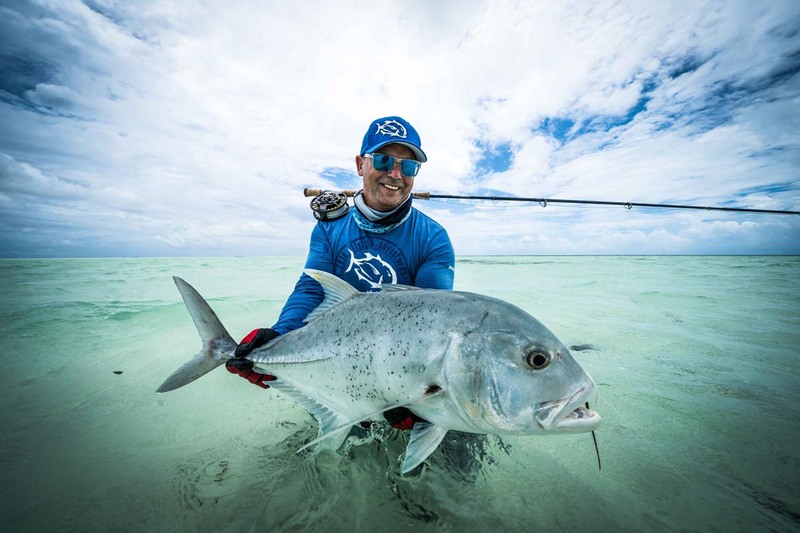 Cosmoledo continues to leave its mark on everyone who visits this magical atoll.